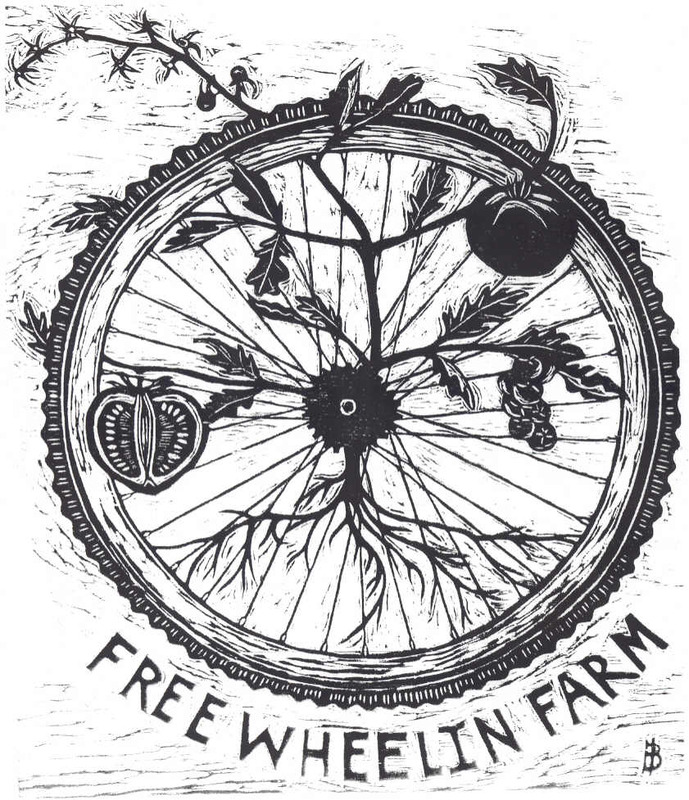 Amy Courtney started Freewheelin’ Farm on one third of an acre in Davenport, CA in the fall of 2002. In that first year, the farm grew to feed ten households through a six-month CSA (Community Supported Agriculture) program. Courtney didn’t have a car, much less a truck, so she decided to do deliveries by bicycle. After her first growing season, Courtney set out to triple her acreage and double her CSA membership – which she accomplished with the help of many willing and tilling volunteers. In 2007, Courtney met the farming partner of her dreams, Kristen Yogg, and the CSA grew to 40 members. In 2008, Darryl Wong joined Freewheelin’ Farm as Courtney took a year sabbatical to explore other interests. This year, Courtney is back and the three are drafting up a partnership, leasing an additional seven acres adjacent to their current one acre farm, and preparing to grow the Freewheelin’ CSA to 100 members. Long before starting Freewheelin’ Farm, and predating her time at Swanton Berry Farm, United Farm Workers, the Homeless Garden Project, and UC Santa Cruz’s Center for Agroecology and Sustainable Food Systems program, Courtney explored the viability of CSAs as an undergraduate at UCSC while interning at the Rural Development Center. The experience prompted her to write her undergraduate thesis on why a CSA is not a viable business model. Courtney grapples with how to ensure that her food is accessible to a diverse socio-economic range of eaters, including students, artists, and families that are stretched thin. She tangos with other farmers over the traditional CSA model. “They argue that if your members aren’t paying up front in full, then they’re not truly supporting the farm. I disagree. For me, it’s all about trust. I’ve never had anybody bail. I don’t need all the money up front. I just need the commitment,” says Courtney. Freewheelin’ Farm charges a sliding fee of $20-$25, a rate they feel is fair for a heaping bag of produce. To date they’ve never had a problem selling everything they grow. Even if the business model may need some fine tuning to become financially sustainable, Freewheelin’ Farm gets a green star for their lack of oil consumption. Courtney figures that the farm uses about ten gallons of biodiesel each year to feed forty families for six months. Other than the fifteen to twenty trips they make each year into town with a vehicle for supplies, Courtney and her partners make their nine-mile, round-trip deliveries to Santa Cruz by bike. “I think the heaviest CSA delivery we’ve pulled with the bike was 300 pounds,” reflects Courtney.